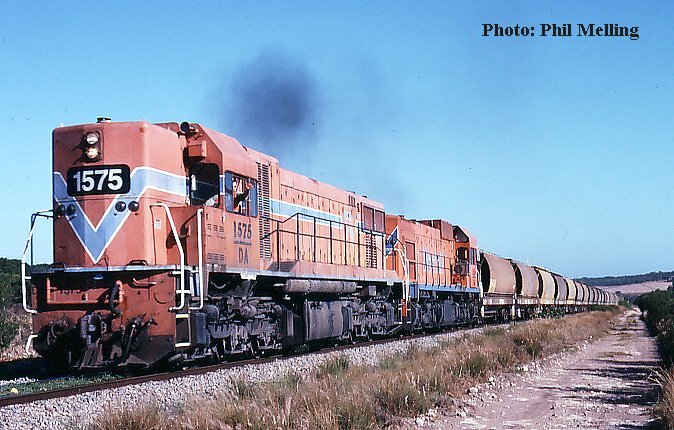 DA1575&AA1516 climb a grade approximately 5km north of Dongara with a loaded grain train for Geraldton Port on 23 March 1997. A few more photos taken in the Dongara area feature on our new page "Dongara". DA1576 is seen at the Talc loading point at Three Springs on 8 October 2001, the last few wagons are often loaded with the loco performing the shunting. Earlier in the day the Loco is stabled away from the train and the wagons are rolled under gravity or with the aid of a tractor. 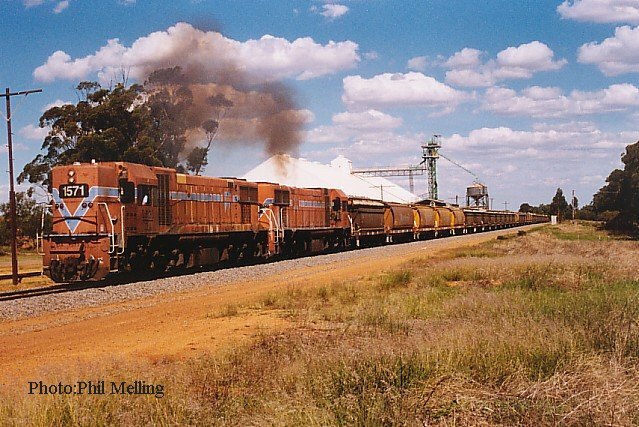 How times change, and just how quickly, DA1571+DA1574 accelerate their loaded grain train out of Arrino (after loading there) and head for Geraldton on 2 April 2000. 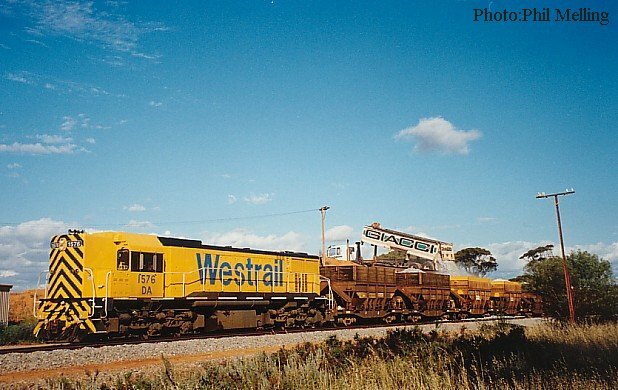 DA1571 is now in Westrail Yellow, DA1574 is in Australian Railroad Group colours and the XNW wagons (the aluminium wagons in the consist) are now on the Port Lincoln Division of the Australian Railroad Group. 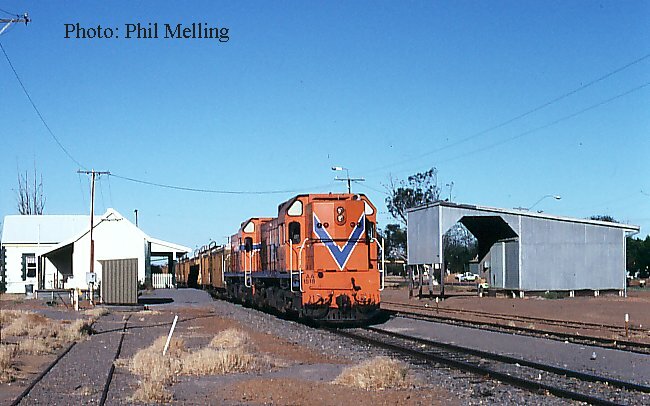 P2015 hauls a loaded Mineral Sands train towards Narngulu on 10 November 2001. 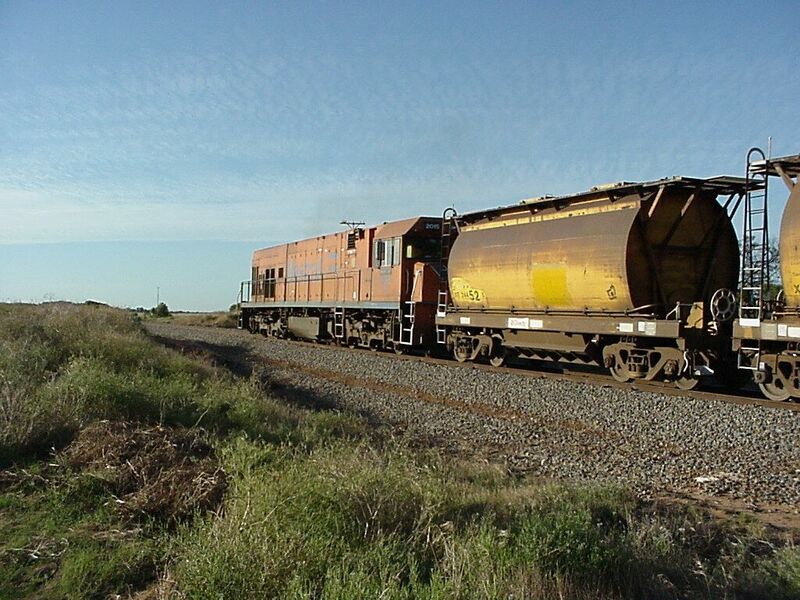 The train is seen only a couple of kilometres south of Narngulu. The first XE wagon has had its Westrail name and Logo painted out reflecting the new ownership. This train consisting of 50 XE wagons has an all up gross weight of over 3775 tonnes, not a bad load for a single locomotive. 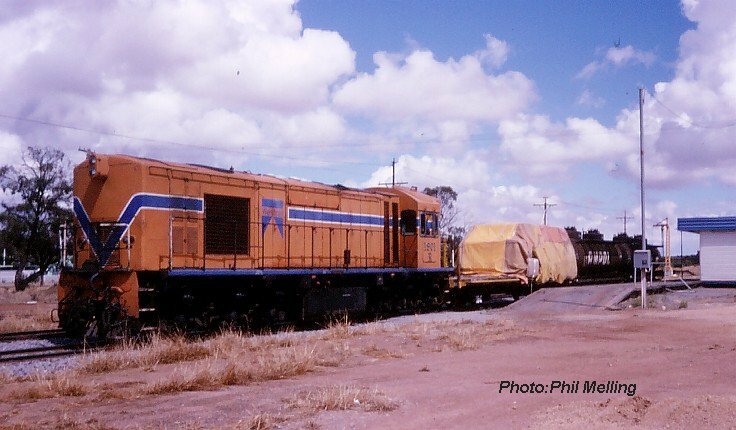 R1901 stands at Coorow with a freight working for Forrestfield on 3 December 1988. The loco has gone, the station building still survives.